So I have a side hobby that keeps me busy called CatastropheCast, in which I talk about disasters and catastrophes that have happened in the last couple hundred years. A big part of that is airplane crashes, which luckily have become much more rare these days. 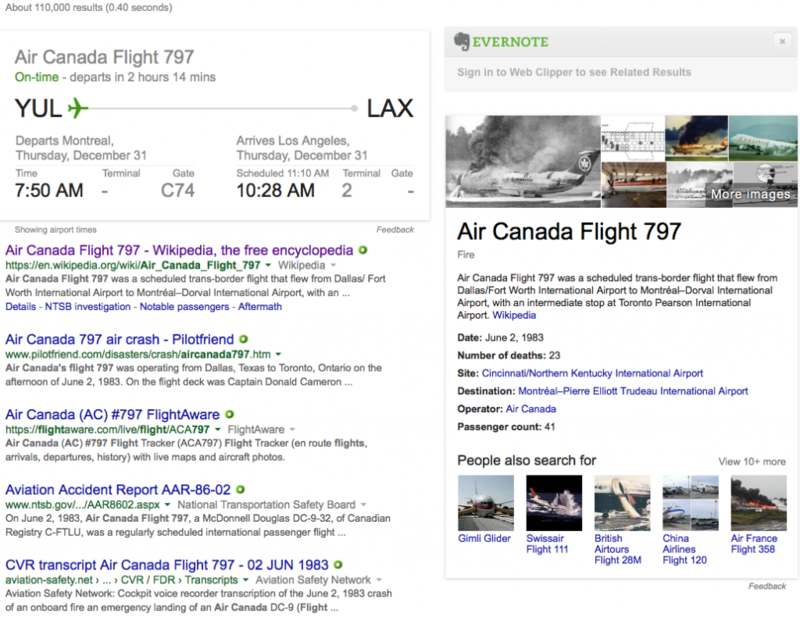 Arguably one of the most important airline incidents was Air Canada flight 797, which happened in June, 1983. That crash is significant in two different ways. First, it’s the last time an Air Canada flight produced a fatality. Second, there are safety issues that came out of the loss of flight 797 that affect us to this day – like fire suppression, smoke detection, and items in the cabin to help guide people out in the event of a smoke filled cabin. Thing is, after a significant incident, flight numbers tend to be retired. Delta 191, Korean 007, United 93 and 175 – which came back after the merger of United and Continental, and quickly were removed. There’s a whole writeup on the phenomenon you can read here. Thing is, looks like Air Canada forgot about this, because Air Canada still operates a flight 797. Bad form, Air Canada! Bad form! Air Traffic Control Privatization? Not just no, but HELL NO! Top tier elite and a million miler - but yet I never even got added to the upgrade list? Moot point an hour before flight, but still. Ugh.